Outside of being America's Cleanest, Greenest Pottery, Sunset Hill Stoneware is also one of the safest potteries in its industry. It shows. Taking a look at our shop, you'll find that none of our employees have to wear dust masks or respirators, plus the building is well-lit and designed for the ergonomic comfort of our staff. Why is Sunset Hill Stoneware different though? Pottery is a famously dirty industry, with potters at a much higher risk of developing lung diseases over their careers. Sunset Hill Stoneware doesn't want to put its employees in danger, so we take a lot of different steps to protect them. Some of these innovations are more visible than others—let's take a tour through the shop to see them up close. Sunset Hill Stoneware's co-owner, Duane Dunsirn, is a mad scientist. Over the course of his storied career, Duane has invented countless machines that we now take for granted, including the 14-color inline printing press and machinery to make coupons and stickers. His inventions even led to the creation of the McDonald's Monopoly game. That's not all he's done though. Duane invented what we call the BAS, an automated climate control system that allows us to monitor and maintain the temperature, humidity and ventilation systems both remotely and within the shop. Environmental safety is important to us. To improve our environmental stewardship, Duane developed a system for our firehouse to capture the heat from our kilns and reuse it to keep the shop warm without introducing extra exhaust into the atmosphere. 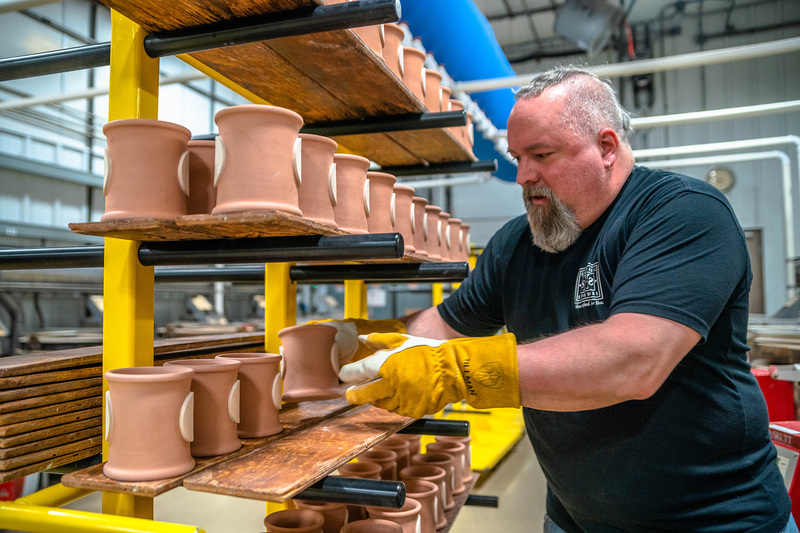 At our production facility, he's outfitted nearly every inch of the shop with custom technology designed to protect our potters while they're at work, all while reducing our carbon footprint. Nearly every station in our shop has mechanisms he designed to trap dust instantly as it becomes airborne, before it can get anywhere near our employees. This elaborate filtration system runs all through the facility, storing the dust in a filter so it can be properly disposed on a regular basis both from the air and as wet particles left from our pottery wheels. This dust is rinsed away under the floor, where we can filter it out before it enters the water supply. So many of the safety and ergonomic features in our shop can be credited to Duane. Whether it's as complex as our custom HVAC technology or something as simple as an elevated storage station for clay so our team doesn't have to bend as far to pick up the heavy slugs of clay, he's designed most of the custom features of our shop with health and safety in mind. Some of our safety features are commonplace in just about any work environment. We have emergency evacuation routes posted in the shop so our team knows where to go during emergencies, where the first aid station is located and where to shut off the water and gas mains if we needed to. We also have signs displayed for where our eyewash station and dangerous equipment so that everyone in the shop knows how to handle it properly. Where applicable, we also have protective eyewear that our employees must use while sanding the bottoms of our mugs. However, plenty of the features designed to protect our employees and visitors aren't immediately visible with just a tour of the shop. Instead it takes a more detailed look under the hood and in the pipes. Kilns are infamously dangerous and need to be treated with respect. There are plenty of graphic stories of people getting burned or seriously injured from hot kilns to illustrate this fact. Capable of reaching temperatures of more than 2000 degrees, it can be dangerous to even be around a kiln at peak production, let alone touch it. That's why we usually run the kilns overnight, so there won't be anyone around them while they're in operation. That's also why have a system to lock our kilns so nobody tries to use one that's out for maintenance or repairs. It just involves some padlocks and a sign-in sheet, but it prevents any of our team members from accidentally using a kiln that could be damaged or dangerous. Although we trap our heat, we don't like to leave anything to chance in our firehouse. To reduce the risk of overheating in our kiln room, its doors are designed to automatically open after exceeding 120° Fahrenheit. From there, our team would have to close the doors manually after the area cools off enough. 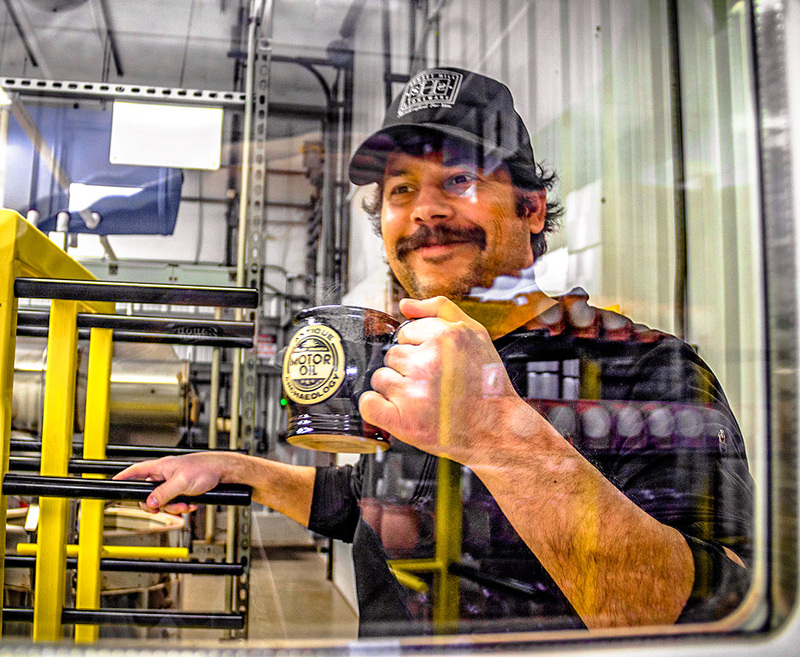 There's a human element to making our shop the safest in the industry, too. Although much of our shop is designed to protect our team, each member of that team does their part to keep everyone safe and healthy. Additionally, Sunset Hill Stoneware has taken a few extra steps to train our employees on safety. Last month, we hosted a CPR and AED training course for employees at the shop, with seven of our team leads learning life-saving skills and earning their certifications. 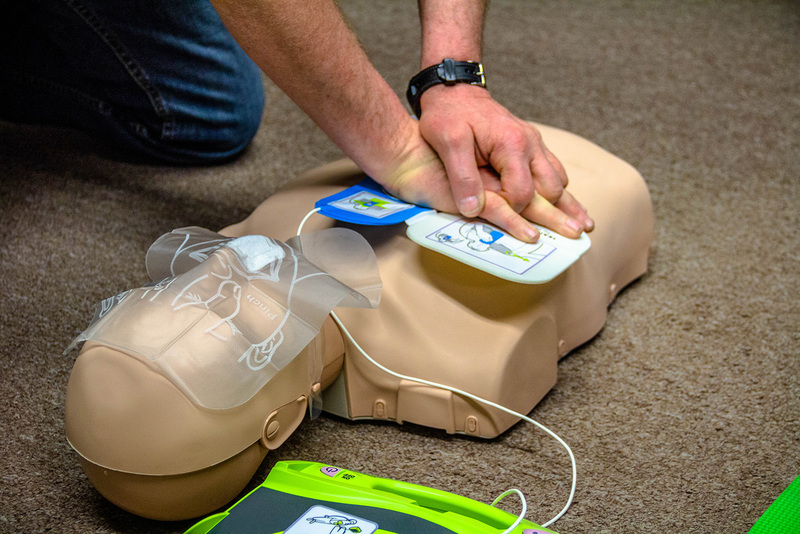 While we hope nobody in our shop ever has to perform CPR, use AED or use any of this emergency training, we feel better knowing that we have seven people trained if the situation arises. Beyond the realm of emergency situations, our shop team also goes through safety training on a quarterly basis. Provided by Fox Valley Safety in compliance with OSHA standards, these training programs cover topics across the board to promote safe and healthy practices in our shop and office, including protecting the joints and back, first aid safety, maintenance safety and more. When it comes to safety, every step counts. 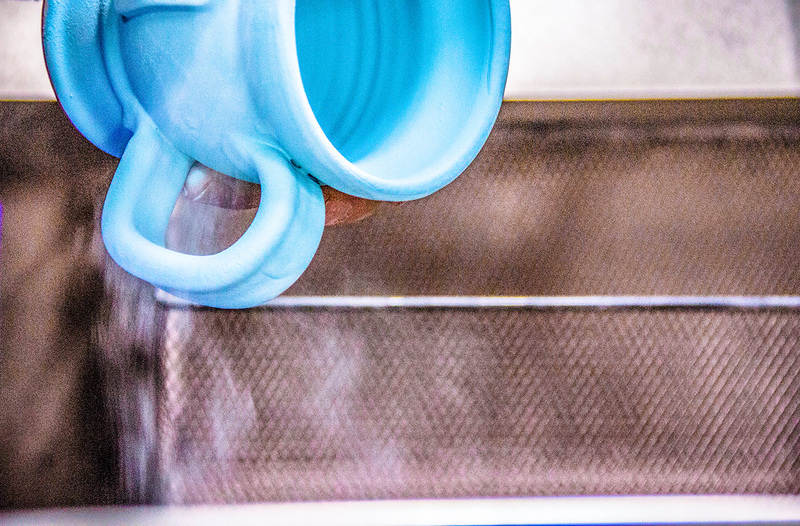 Sunset Hill Stoneware uses safety innovations so you can have peace of mind that your mugs were produced in an ethically and environmentally friendly facility. We're proud to have these innovations and training, and we will continue to develop them as our company grows in the coming years.